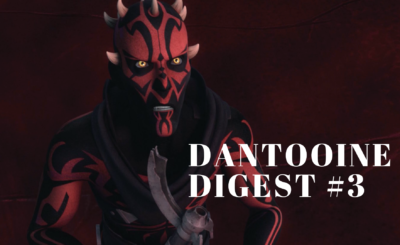 Welcome to the second issue of the Dantooine Digest! You can see Issue #1 here. If you’re interested in learning more about the inner workings of Lucasfilm I suggest listening to the latest What the Force? episode – an interview with Story Group member Leland Chee. NEW EPISODE: A Day in the Life of @HolocronKeeper – We loved speaking with Leland! You can also hear me on an episode of What the Force? 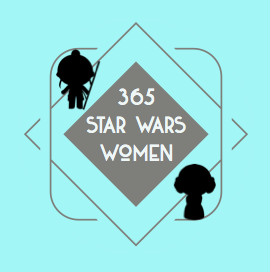 talking about the 365 Star Wars Women project right here. Last week A Star Wars Comic released Comic #18 – The Apprentice. It’s an especially good one and a must-read for fans of Qui-Gon and Rogue One. Sadly A Star Wars Comic also announced their next comic (#19) will be their last. If you haven’t read any of these before please check them out. They are really something special. Star Wars reference is the best. So is Hoth. It’s my favorite Star Wars planet. Star Wars Explained recently released a video about Hoth and the many other ice planets that have been featured in Star Wars canon stories. My action figures just hang out on shelves. Other people’s action figures have more fun like the one below. "Action figure artwork – Training on Lothal"
it reminds me how much I love Star Wars fans. To be fair I stared at Adam Driver’s face a lot last week when I worked on this piece looking at the first and last shots of Kylo Ren in The Force Awakens and The Last Jedi. So this was the perfect timing for me to share some Reylo fanart. I could probably write an entire article about the screenshot below – Kylo’s last shot in The Last Jedi. And in case you’re wondering I do want a tiny bit of Ben redemption, but it’s complicated, and is why I love this character. Finally, I’m starting a new hashtag on @365_starwars this week – #3StarWarsCollectibles (yes, it’s very long). I’ll be posting three of my favorite collectibles of Star Wars characters, films, creatures, vehicles, etc. 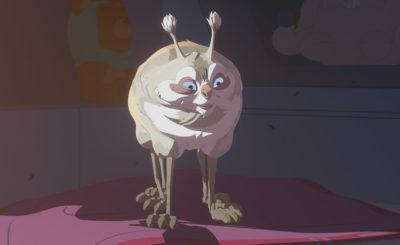 Here’s a sneak peek of my first subject – Jabba the Hutt. 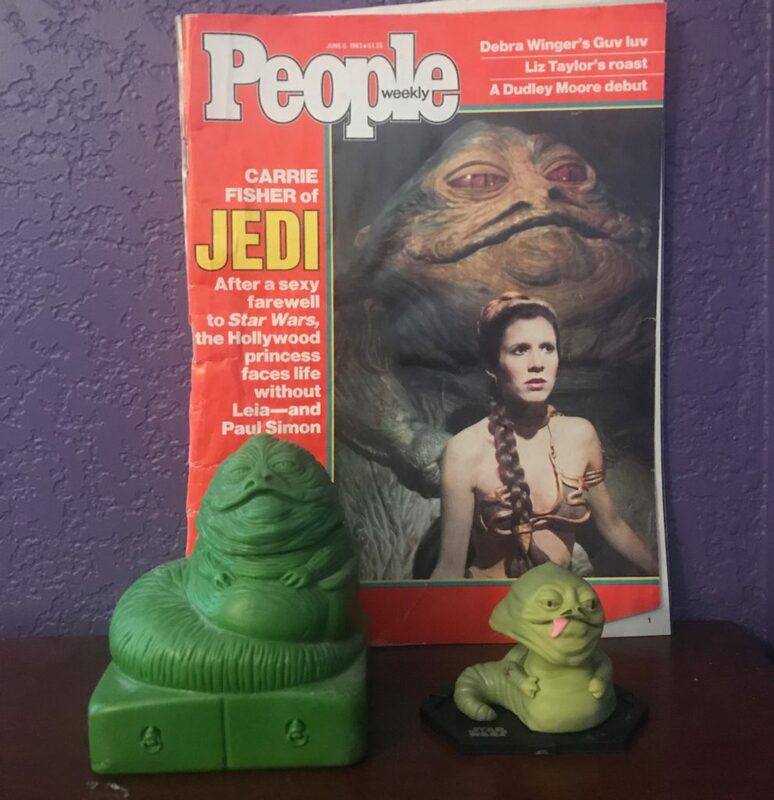 Jabba on the cover of a 1983 People magazine, Jabba the Hutt shampoo (I bought this for my Dad for a Father’s Day present and he hilariously gave it back to me years later), and a new Jabba from a recent Smuggler’s Bounty box. If you use the hashtag let me know! It’s always fun to see other people’s collections. 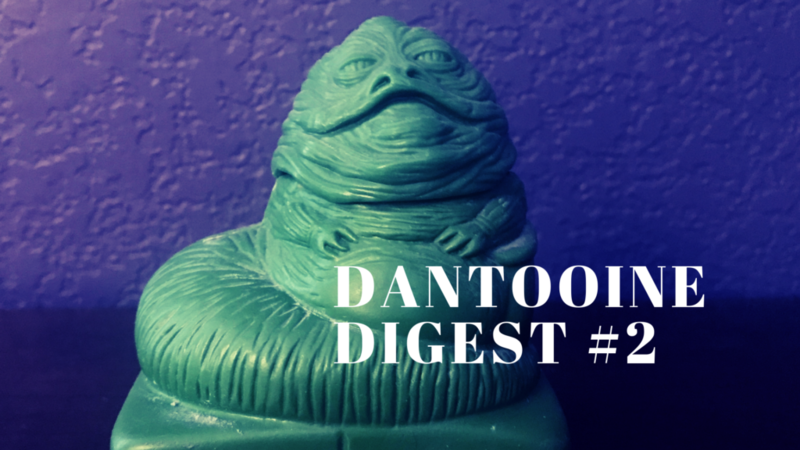 And if you have a recommendation for the next Dantooine Digest the DMs are open on the @365_StarWars Twitter account.